Did you know that spending time outdoors can benefit your physical and mental health? You don’t even have to be exercising energetically to reap the benefits. 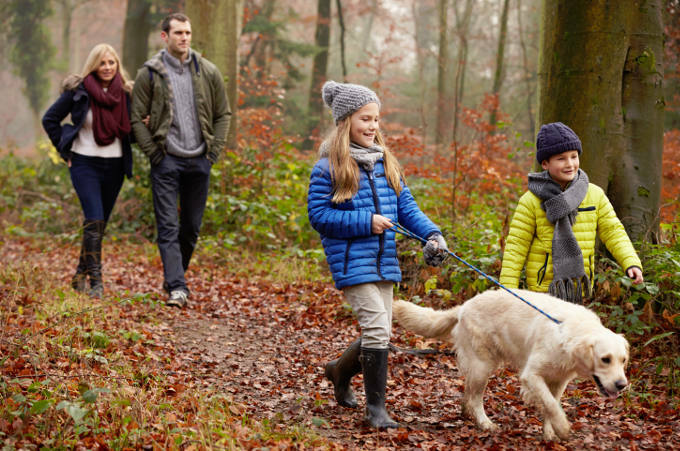 Simple everyday activities such walking to work, taking the dog out or having an after dinner stroll can really improve the way you feel. We all know that a good walk in the fresh air can help you collect your thoughts, let off steam or simply relax, particularly when you’re experiencing high levels of stress. But it’s more than that. Walking can positively affect your overall wellbeing, and even help fight depression. Here are just a few good reasons why it pays huge dividends to get outside more. Walking, just like any other physical activity, releases endorphins. These are the ‘feel good’ chemicals in your brain that are responsible for improving your mood and reducing anxiety and stress. Regular walking can help improve your sleep patterns, leading to better quality and more refreshing sleep. It is a well known scientific fact that people with active lifestyles have a lower risk of suffering from clinical depression. It is a recognised benefit that spending time in contact with the natural environment – perhaps by walking in local parks, green spaces or woodland – can boost your mental health. Regular physical exercise has been shown to be at least as effective a treatment for mild to moderate depression compared to taking antidepressant medication. What’s more, all the side effects of exercise are positive! According to a recent clinical study, being surrounded by nature gives your brain a break from overstimulation, which can have a restorative effect – increasing your vitality, boosting energy levels and heightening your concentration. Discovering your local area on foot is a great way to make you feel more at home. It gives you a greater sense of belonging, and makes you more likely to make contact and establish friendships with people who live close by. A welcome by-product of regular walking is that you will feel fitter and may lose some weight. This can enhance your body image and improve confidence. Group walking is a sociable activity that can make you feel more connected and overcome social isolation – all helpful in boosting your mental health. Even if you don’t go for a walk but simply spend time outdoors, this will still improve your wellbeing. Why not take your lunch break on a park bench, or watch the children play in the playground on a sunny day?